We are delighted to welcome Dr. Plamen Penev who joins us as a dermatologist at our Limerick Branch. 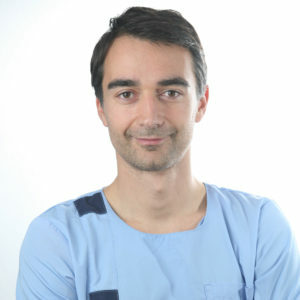 Dr Penev has been working in a field of dermatology for more than 10 years. He graduated as a medical doctor at the Medical University of Stara Zagora. Following this he completed his trainee program at the University Clinic Of Dermatology and Venereology at Stara Zagora. He earned his license in Dermatology and Venereology at the Military Medical Academy, Sofia in 2014. Later Dr Penev obtained certificates in Facial Anatomy (Royal College of Surgeons Of England, London 2015), Dermal Surgery (with Prof.Dr Peter Kohl from Berlin) & Dermal fillers. Dr. Plamen is registered with the Irish Medical Council on the General Register of Doctors. In the latest years of his medical career Dr. Plamen continued to develop in aesthetic dermatology and gained experience in botulinum toxins, dermal fillers, ablative and non-ablative lasers and energy based devices as well as dermal surgery. Dr. Plamen is an expert in Mole Removal Surgery, Mole Mapping and general dermatology services. The main priority in his work is the individual approach and care for every single patient.